Between walk, bike, bus and rapid transit, car/bike/ride share, car rental, Uber, and taxis, transportation is now a service and consumer choice has redefined how many get around. 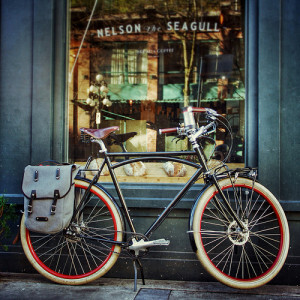 People like me have a complicated relationship with urban mobility (check out my other post, The new transportation habits of urbanites are complex and efficient: A 30-day travel journal). Rather than own a personal car, my household selects a transportation mode based on availability, convenience, weather, budget, and cargo carrying needs. It’s multivariate calculus and far removed from the days when transportation was like two-channel television; on one hand you had the Ed Sullivan show and on the other you had whatever else it was that people watched back then. That is to say either you drove a car or you didn’t. 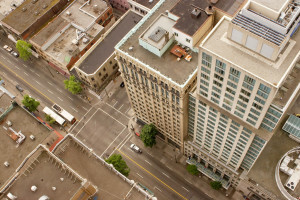 Transportation in cities like Vancouver, but especially Vancouver, is defined by multimodality, choice, and competition. The convergence of generally smart land use, such as compact neighbourhoods, with a surge in transportation options—FOUR car sharing companies in town and good transit/bikability—means that we’ve reached a threshold where low-car or carless is not only possible, but ideal for most. To illustrate, I’ve created the below chart that details how I get around for one-way trips. The chart isn’t based on hard evidence but presents an honest retrospective of my general travel habits. For each mode I’ve indicated a coloured bar. Orange bars mean I generally use that particular form of transport for a trip in that range of distances. Red bars mean I almost always use that form of transport for a trip in that range of distances. Example: Walking is my preferred mode for every trip up to 500 metres but I also sometimes walk for trips of 500 to 1,500 metres. Where’s taxi and ride share? Not here, I simply don’t use them. Walking and biking are my go to choices for trips of less than six kilometres. Makes sense, there’s no excuse to drive these trips unless I’m carrying heavy cargo; sometimes I one-way car share for these trips if I have a passenger or need to move something like groceries. Overlap of modes: For short’ish trips of around four KMs I use up to four modes of transportation. This is a common type of trip for me so I’m not surprised I use so many modes to service it. Car sharing competition? For me, one-way (Car2go, Evo) and two-way (Modo, Zipcar) car sharing is complementary. Both types of car sharing do different things for me so I don’t necessarily see them as competing. Car rental: I almost always rent a car for trips of 30 or more kilometres. It takes a while to adapt to a lifestyle where you can conceivably use five transportation modes in one day (check out this plausible scenario: ride a bike to a transit stop, load it on a bus, then get off at an Evo car only to strap the bicycle to the roof rack). However, once you get set up and understand how each mode works for different trips you can reap the rewards. With more options now, rather than getting stuck into the fixed cost trap of owning a car, I have the ability to incur transportation costs only when I move. This flexibility has offers many benefits, not the least of which is economy. My personal urban transportation bill clocks in at well under $1,000 (CAD) a year, which is substantially less than the $8,000-$13,641 annual average for a newish compact car or sedan. 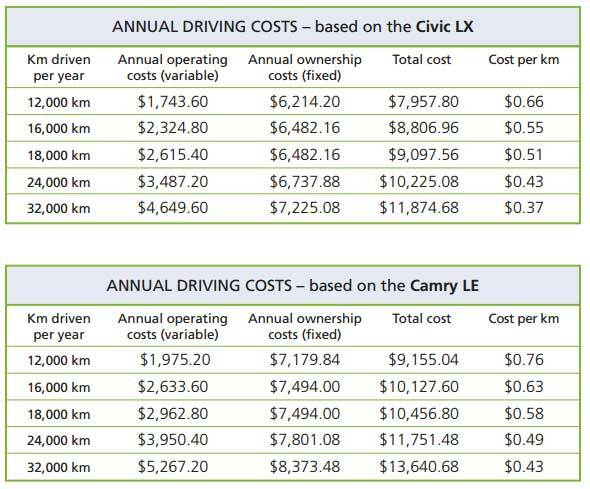 Take a look at the chart below, from the Canadian Automobile Association, which details the variable and fixed costs of car ownership. Owning a car is a self-reinforcing loop of coping with sunk costs. I recall a conversation I had with a board member back when I used to manage the Victoria Car Share (now part of Modo). His theory was sound: Vehicles have such a high fixed cost (depreciation, insurance, etc. )—expenses incurred without driving—that once you bought into them you had an incentive to keep driving. Since the variable costs (gas, tires, etc.) of driving are so low by comparison you’d be a fool not to maximize your investment in a car, by driving more. Beyond trailblazers like Modo, transportation as a service is catching on even among the auto-industrial complex: Avis Car Rental owns Zipcar and the British Columbia Automobile Association runs the Evo car share. Some other good news includes Vancouver boasting a fleet of over 2,000 shared vehicles and perhaps one hundred thousand car share members. 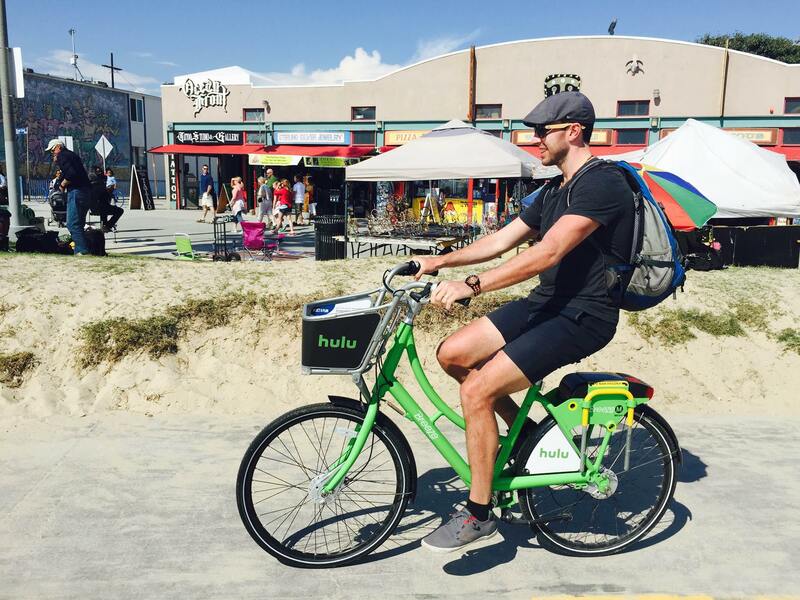 Bike sharing is coming to Vancouver and the new ride sharing startup Hitchplanet is on the rise. There’s still a lot of room for innovation though. 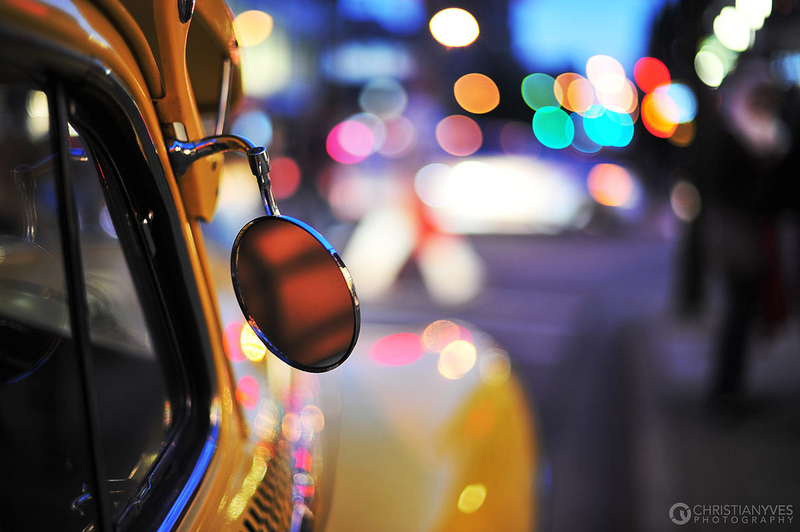 I keep waiting for peer-to-peer car sharing, the Airbnb of cars, to show up and ignite. And in Vancouver, with some of the world’s most expensive taxis, some Uber and Lyft could work well. Really though, bike sharing will be a really nice addition–I used Washington, DC’s Capital Bikeshare to get around one summer and it was mostly convenient and had a comprehensive network that interfaced with transit. To all of this I say, “Keep it up”. The critical mass and hard infrastructure is here, we just need some more integration between modes and a bit of a push on the social adoption side. A bigger pool of multimodal transportation users will only encourage more investment and options, which will lead to better service and lower prices. That and a cleaner and greener city.